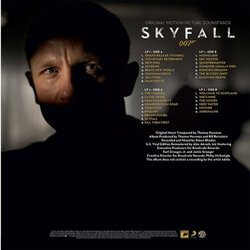 Skyfall is coming november 17th, 2017 on 2-LP 180gm Black Viny or Black and Gold Vinyl variant housed in a deluxe, 3D Pop-Up gatefold jacket with 16 page photo booklet presented by Brookvale Records ! 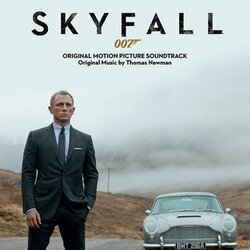 MI6 agents James Bond and Eve Moneypenny pursue mercenary Patrice, who has stolen a hard drive containing details of undercover agents. As Bond and Patrice fight atop a train, M orders Moneypenny to shoot Patrice from long range. Moneypenny misses and inadvertently hits Bond, who falls into a river. Bond is presumed dead and Patrice escapes. Thomas Newman has scored this 23rd James Bond movie Skyfall, directed by his longtime collaborator Sam Mendes, which celebrates the film franchise's 50th anniversary. His work on this film earned him his eleventh Oscar nomination and a second BAFTA win.